Cyprus can lay claim to being the first country on earth governed by a Christian sovereign, the Roman proconsul Sergius Paulus, converted by St. Paul, along with Sts. Barnabas and Mark, on his first missionary journey. It remained Roman (and Byzantine) for 800 years, excepting a brief period of Arab occupation, until its conquest by the Crusaders under Richard Coeur de Lion, who in turn sold the isle to exiles from the defeated Crusader kingdoms, whose descendants ruled there for some three hundred years. By the mid-15th century, when all the Christian world was shaken by the fall of Constantinople, Cyprus came under Venetian influence. It was destined to became an important possession in that illustrious city’s glittering Mediterranean commercial empire. The coat of arms of the Lion of St. Mark, and the protection of her galleys, preserved the island in Christian hands until July of 1571. On some pretext, authenticated by a pliant mufti, the Sultan succeeded in nullifying a treaty of peace he had signed with Venice; and he declared, on fine Islamic principle, that since Cyprus had once been Muslim, it should again come under the peace of the ummah. “Put down your feet upon him, that our peace be on the earth!” He raised an army of nearly 100,000 men, many of them the dreaded Janissaries, the special forces of the Turkish military, and put it under the command of an ambitious general, Lala Mustafa Pasha, his former tutor. 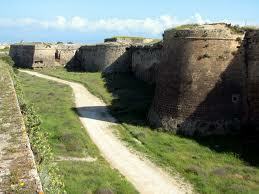 The invasion force landed in July of 1570 in the southern district of Limassol. Lala Mustafa did not expect much resistance. The Greek Cypriots were Orthodox and agrarian, and had little fondness for their Catholic and Capitalist Venetian masters. After a six-week siege, the city of Nicosia, in the center of the island, capitulated on a guarantee that the lives of the Venetian troops and Cypriot townsmen would be spared. But Lala Mustafa betrayed his pledge and put most of them to the sword, many after terrible tortures. The young boys and girls, enslaved, were sent to the harems of leading Turks. One among their number merits particular mention: Amalda de Rocas by name, she choose death over dishonor and captivity, setting fire to the powder magazine of a slaver ship and blowing it from sea before it even reached Anatolia. Famagusta is on the eastern side of the island, a fortress town. Its governor was a proud Venetian, Marcantonio Bragadino, and his resolve was only stiffened by Lala Mustafa’s macabre gift to him of the head of Nicosia’s governor. The Turks laid siege to Famagusta, and commenced a fearsome bombardment; but the town, defended by men outnumbered almost twenty to one, nonetheless resisted valiantly. The fury of Lala Mustafa was exceeded only by the impatience of the Sultan, who had visions of sailing his enormous fleet up the Adriatic to invade Venice itself. It was not to be. The proud banners of St. Mark still flew over Famagusta nearly a year later. Venice was never more deserving of her emblem the Lion of the Sea. The determination of the Venetians, and their Greek subjects (who now, in the face of a pitiless enemy, we may guess, had set aside their resentment of the Italians), postponed a renewed Ottoman war against Mediterranean Europe, and secured precious time for Pope St. Pius V to organize and equip, through patient negotiation, the Holy League of Catholic Europe, which under Don John of Austria met the Turks several months later in the Gulf of Corinth at one of the greatest and bloodiest naval battles in history: Lepanto. 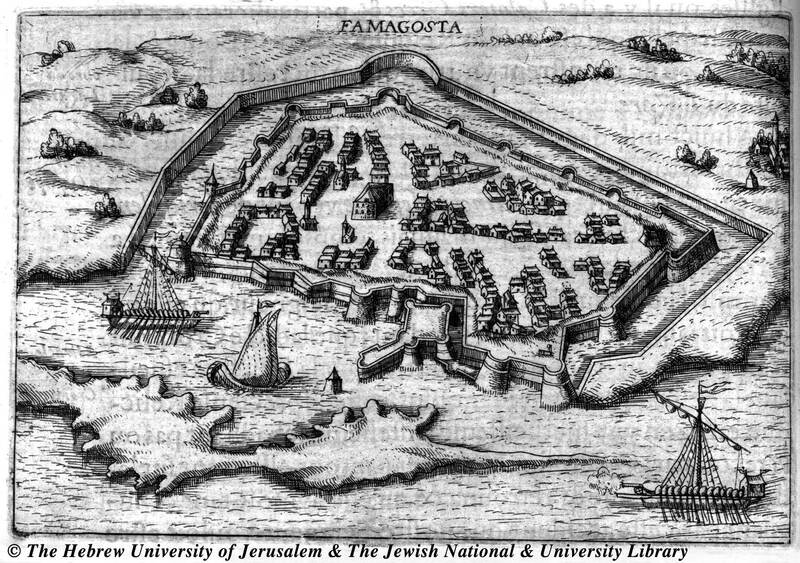 At last, in July of 1571, a section of the main wall of Famagusta was, after countless costly attempts, blown apart, and the defenders — now reduced to a mere two thousand men — were forced to surrender. The terms of their surrender were remarkably favorable: military honors, safe passage, and the liberty of the townsmen. Whether Bragadino trusted his enemy’s word, when he rode out on August 4, beaten but unbowed, to deliver the surrender, can only be conjectured; that he recognized his defeat was clear enough. In the event Lala Mustafa, enraged at the pride of the Venetians, turned to treachery again; and, as Paul Fregosi writes, “Now began one of the most horrendous scenes of individual savagery recorded in the history of the Jihad.” The Janissaries fell upon Bragadino’s honor-guard, dismembering them; they cut off Bragadino’s ears and nose and threw him into a dank cell, where he languished for two weeks before being dragged out, beaten and humiliated, and then flayed alive. His ruined body, filled with straw, was hoisted on Lala Mustafa’s galley and carried away to Constantinople. News of this cruelty reached the marines and sailors of the Holy League only two days before the Battle of Lepanto began. Bragadino’s own brothers commanded two of the Venetian navy’s newest innovation: the massive galleass, an unwieldy ship capable of delivering six times the firepower of the standard Turkish galley. These behemoths, despite their lack of maneuverability, would prove instrumental at Lepanto. Word of the Agony of Famagusta spread throughout the Christian fleet, and hardened the Christians against their enemy. Bragadino’s brothers swore vengeance. “It is a good day to die,” declared another Venetian. And on that day the cruelty of the Turkish conquerors of Cyprus was avenged, and the menace of the Turk on the Mediterranean delivered a blow from which it would never fully recover. The Ottoman Standard, a banner inscribed 28,900 times in gold with the name of Allah, a treasure once carried by the Prophet himself, can still be viewed — in Venice. I highly recommend Niccolo Capponi's book on Lepanto Victory of the West. He provides an excellent overview of the events leading up to the battle, including Famagusta. The Ottoman Standard, a banner inscribed 28,900 times in gold with the name of Allah, a treasure once carried by the Prophet himself, can still be viewed — in Venice. I thought that Paul VI gave the Standard of Lepanto back to the Turks in 1965. Are you sure it's still in Venice? I'm not sure, George. My sources here are older than 1965, so you may well be right. Paul VI stupidly gave back many of the Vatican's Lepanto trophies. I don't know whether he did, or could, give back ones housed in Venice and belonging to the Republic of Italy. "It is a good day to die" Apparently the Venetians beat the scriptwriters of Star Trek by 500yrs. To paraphrase one of my favorite lines from DS9 "we will fight, and we will keep on fighting, until we can't fight any more and then we'll keep on fighting"
Look, this post is revised from a much older one I wrote that I happened upon accidentally in a Google search. It may have appeared on the old EM. The time of year matched, so I made some adjustments and posted it, figuring that my original fact-checking was accurate. No doubt the "good day to die" line is translated through several languages over several continents. But when tens of thousands of martially-minded men clash in a contest to the death, I'd wager someone says "it's a good day to die" at some point. I don't know whether he did, or could, give back ones housed in Venice and belonging to the Republic of Italy. Titus, does it (or did it), in fact, belong to the State? I can't find any information on the web about its being in Venice at all, except for one reference, which I was unable to access. the menace of the Turk on the Mediterranean delivered a blow from which it would never fully recover. It's good to see you mentioning this. I see too many historical buffs uncritically repeating the Turkish bravado about "we cut off your arm, you only cut off our beard" in reference to Lepanto. The fact is, the Turkish fleet lost tens of thousands of irreplaceable sailors and marines that day, and their fleet was never the same, even though it was physically rebuilt and still caused trouble. Poor Cyprus. If it wasn't the Muslims killing the Greeks it was the Jews who slaughtered 240,000 of them.